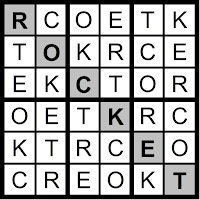 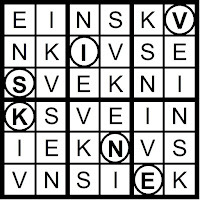 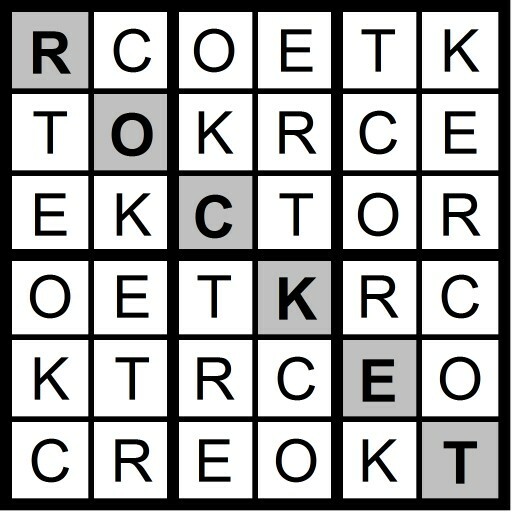 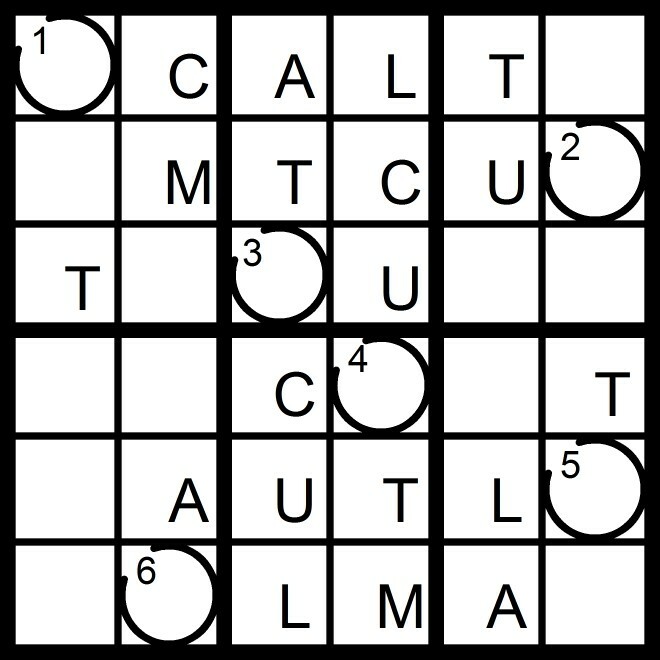 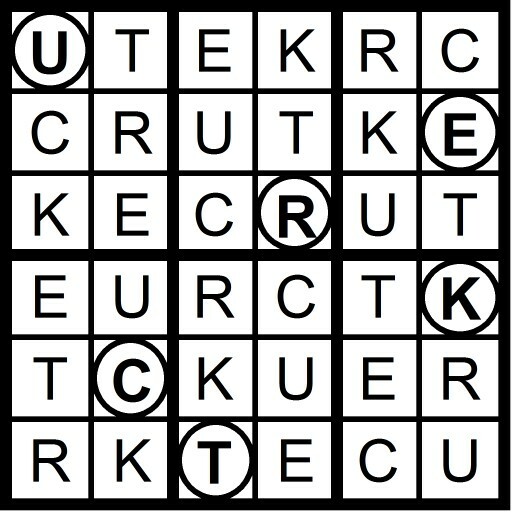 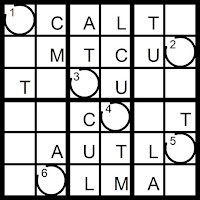 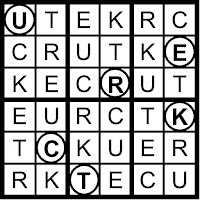 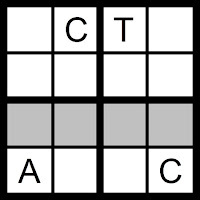 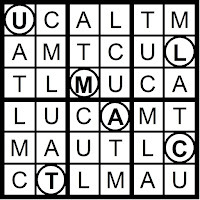 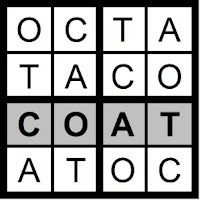 Yesterday's 4x4 Hidden Word Sudoku puzzle was based on the letters OCT + A (COAT) and the 6x6 Hidden Word Sudoku puzzle was based on the letters OCT + KER (ROCKET). 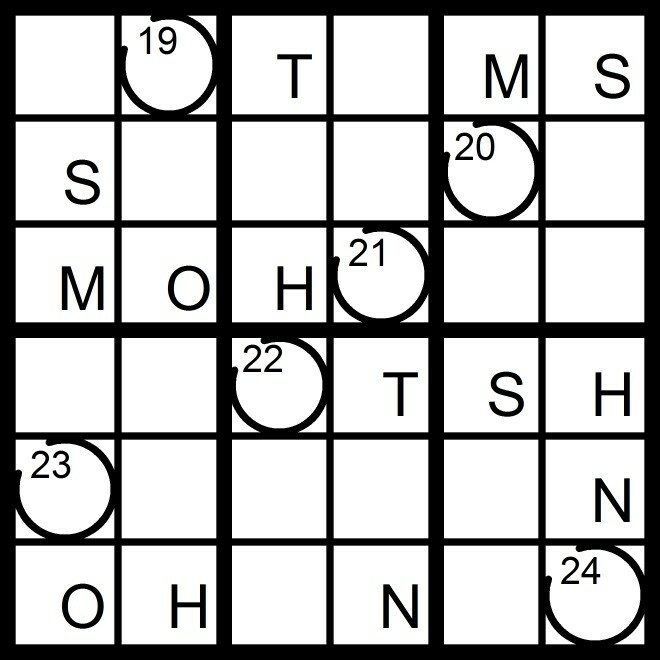 Yesterday's 5x5 Diagonal/Hidden Word Sudoku puzzle was based on the letters OCT + BH (BOTCH) and the 7x7 Hidden Word Sudoku puzzle was based on the letters OCT + SEND (DOCENTS). 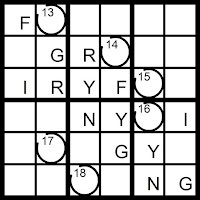 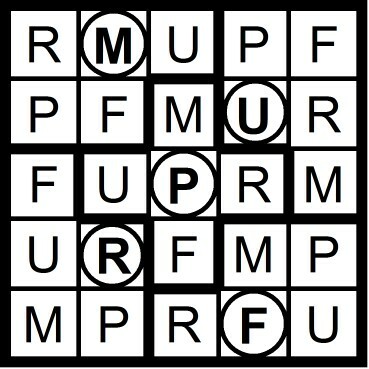 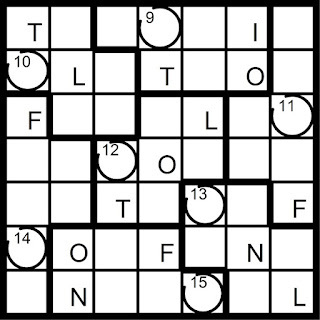 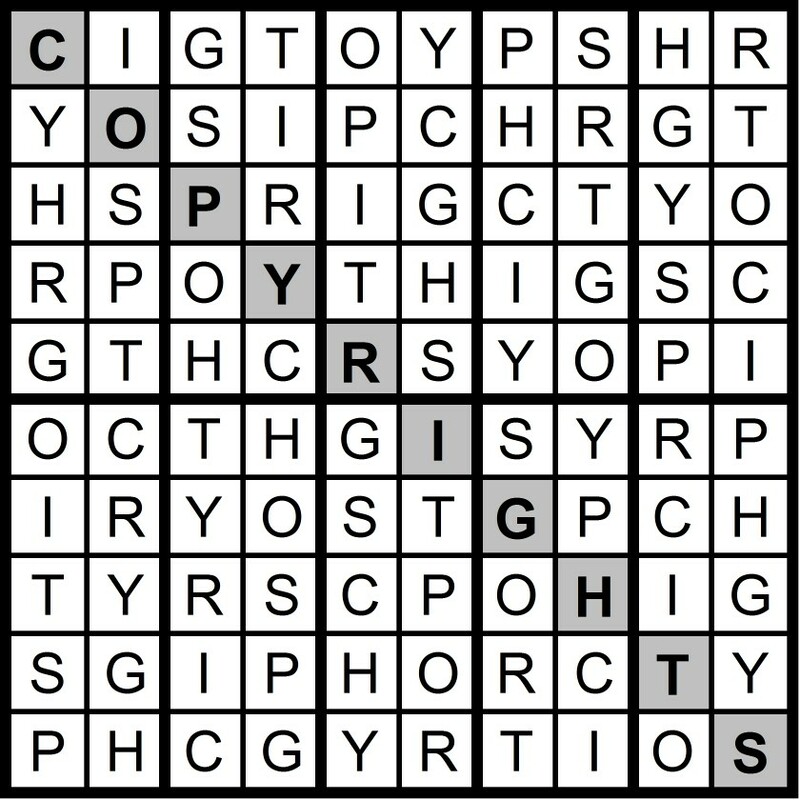 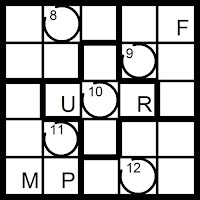 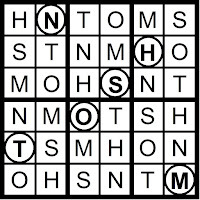 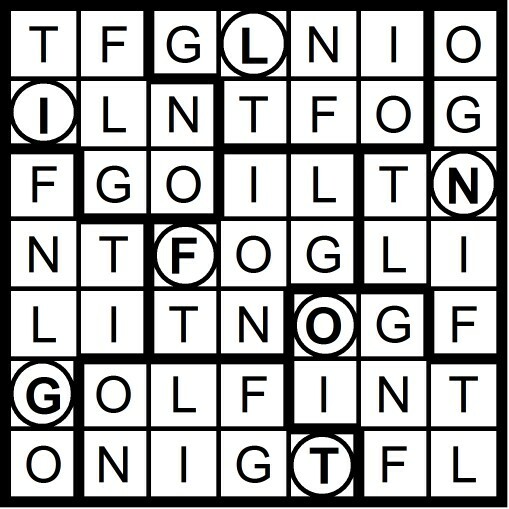 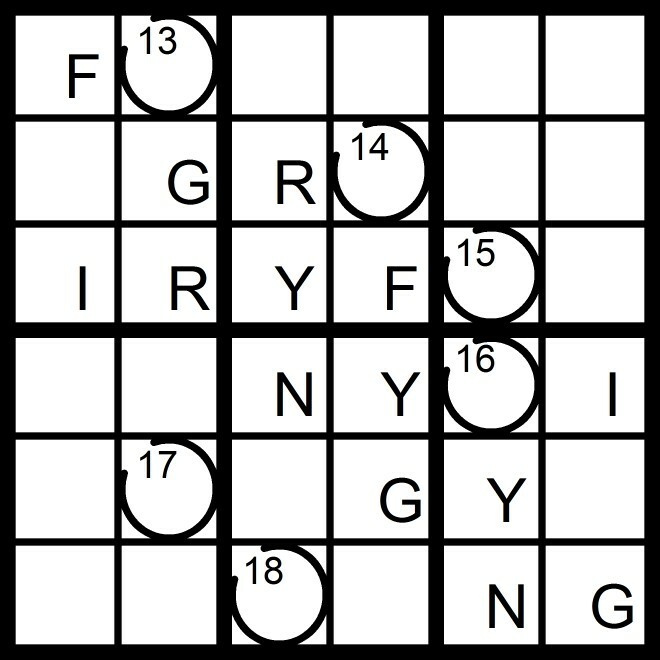 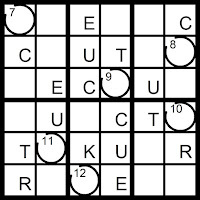 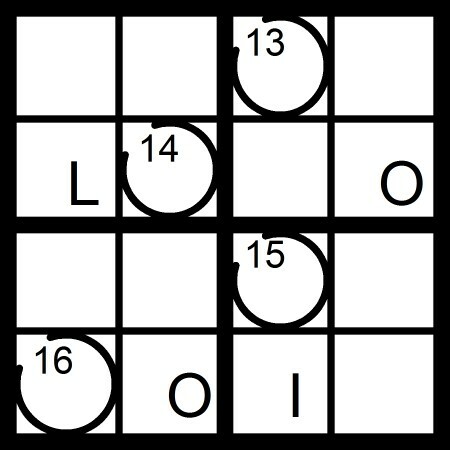 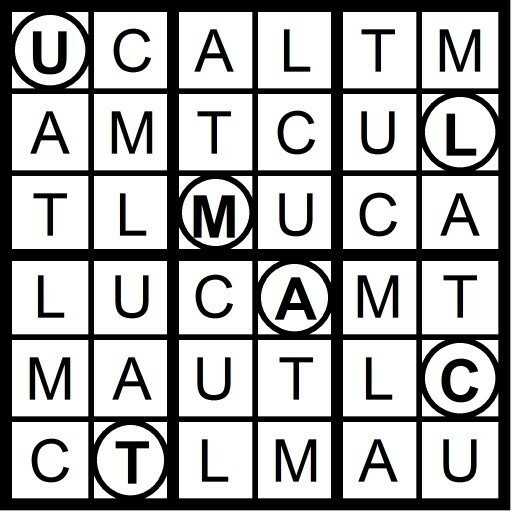 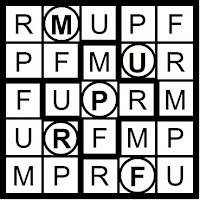 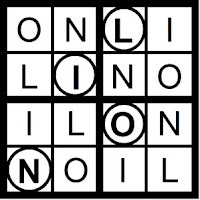 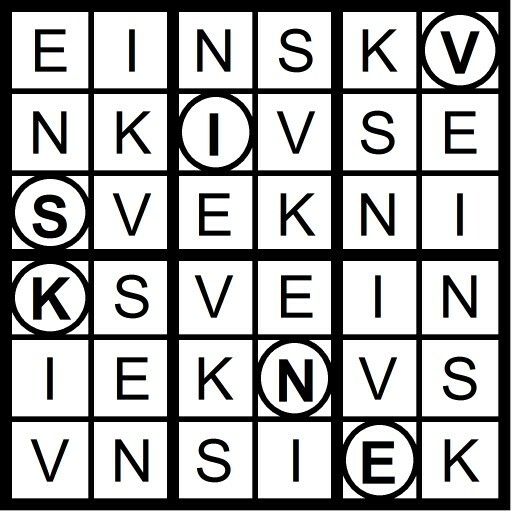 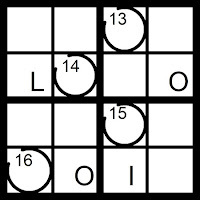 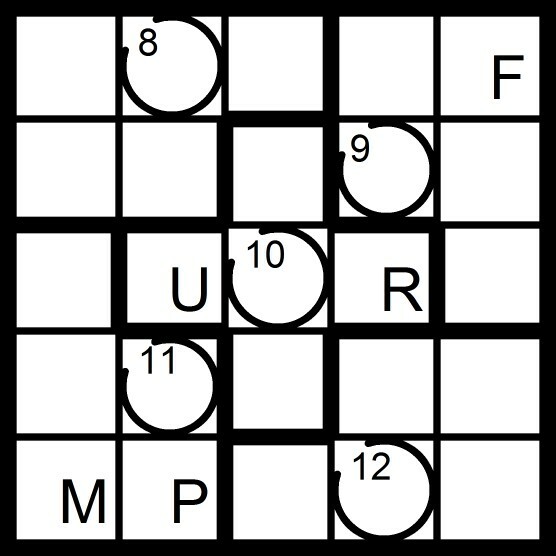 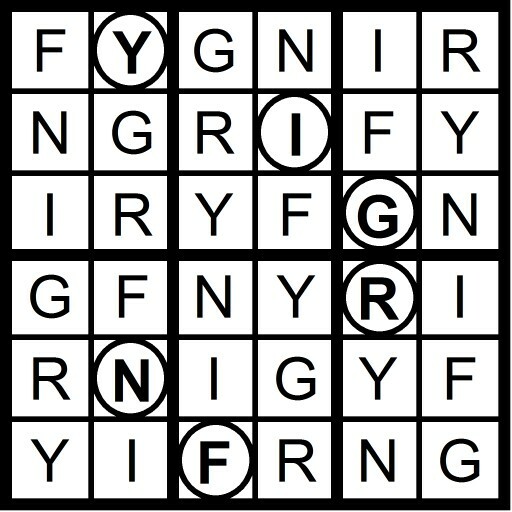 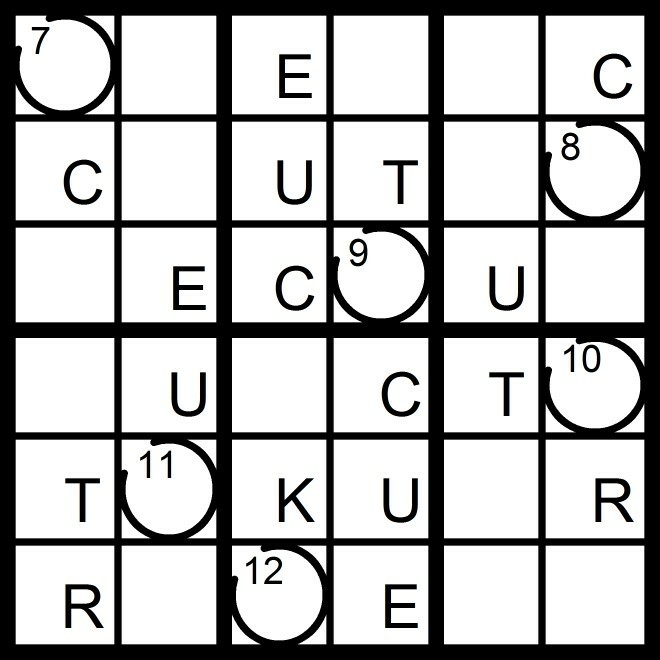 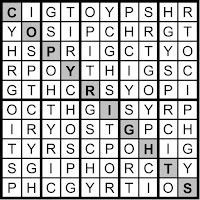 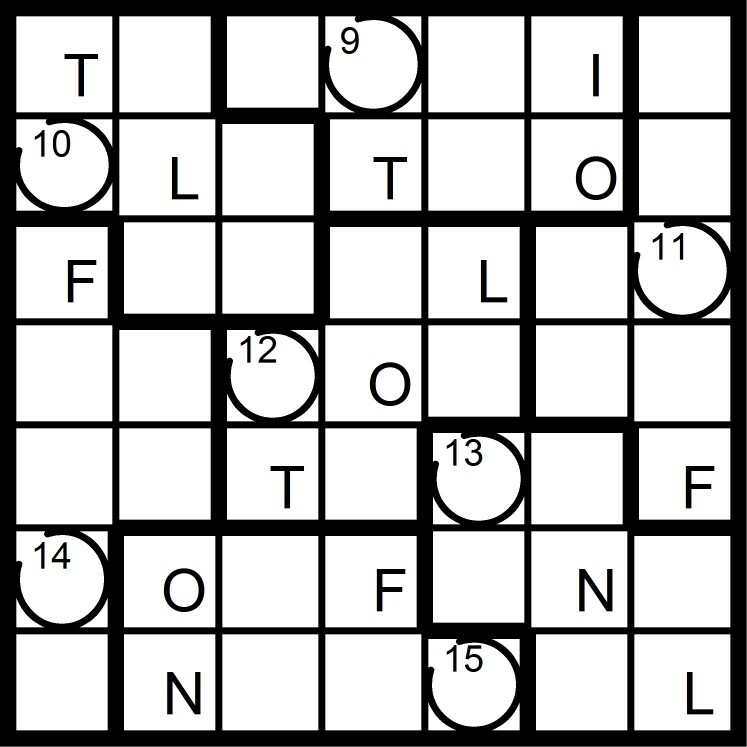 Yesterday's 10x10 Hidden Word Sudoku puzzle was based on the letters OCT + SHY GRIP (COPYRIGHTS). 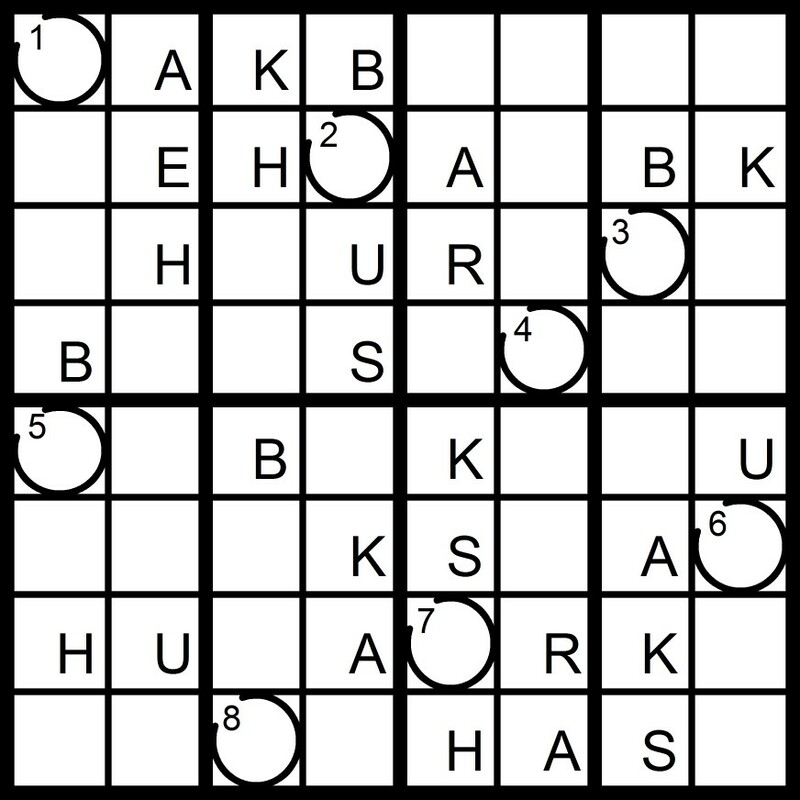 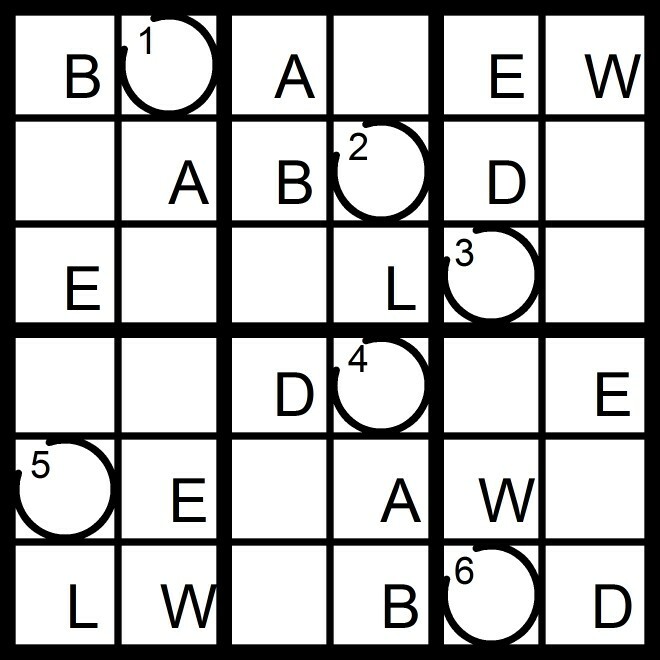 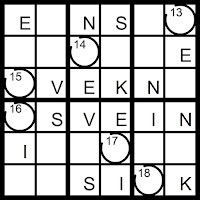 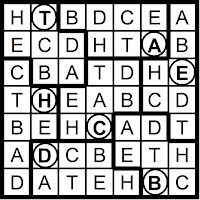 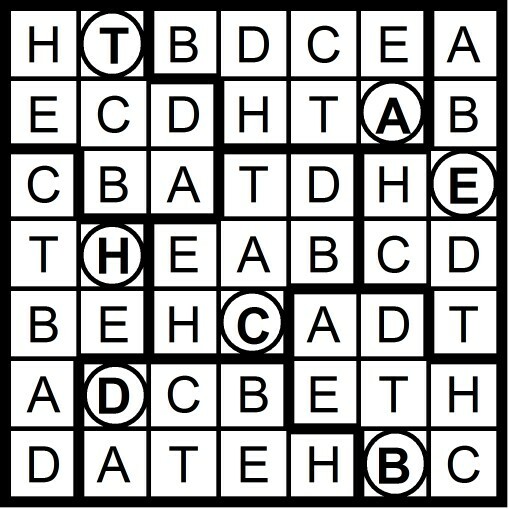 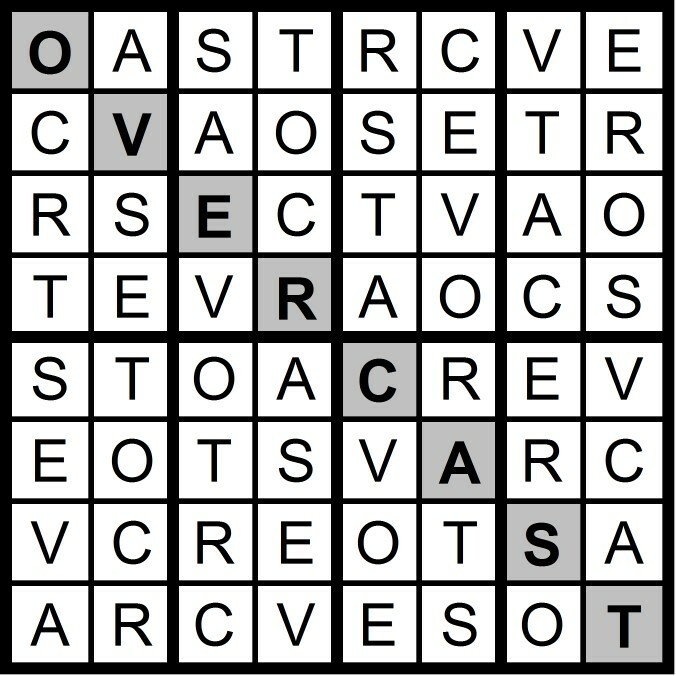 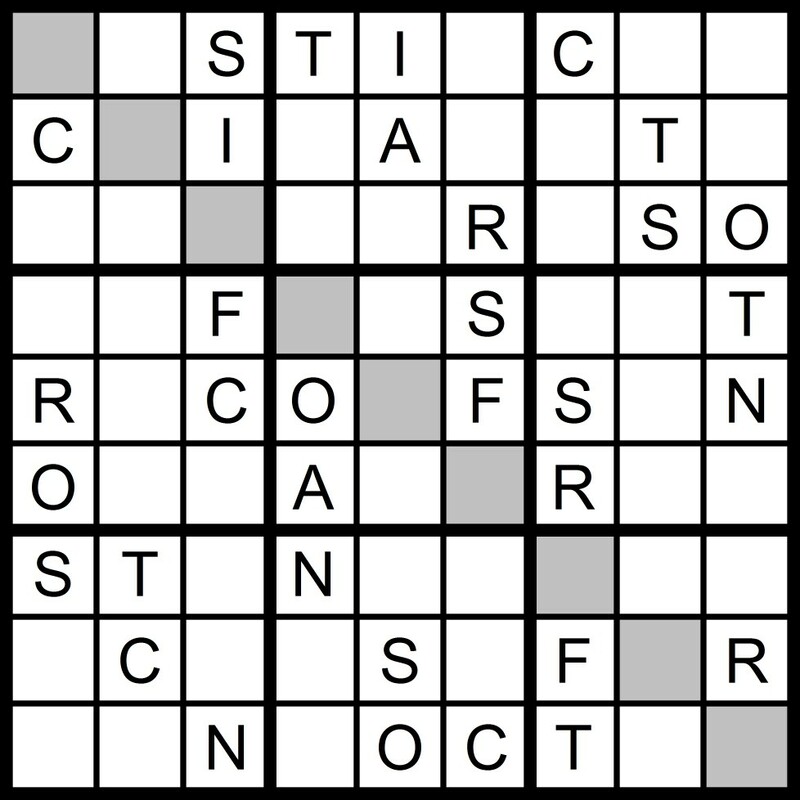 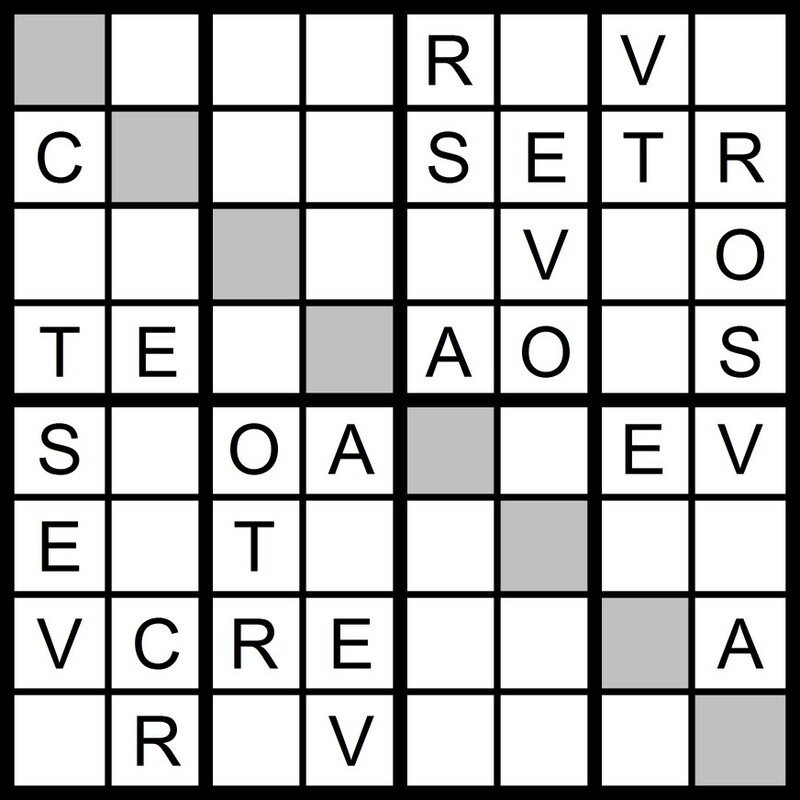 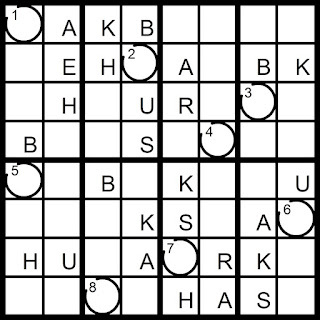 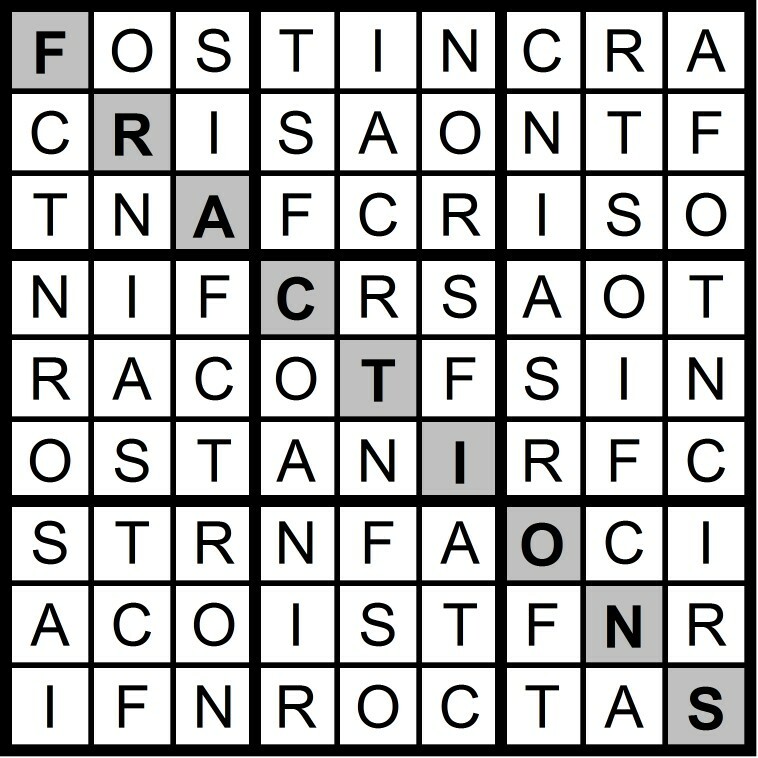 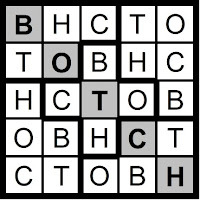 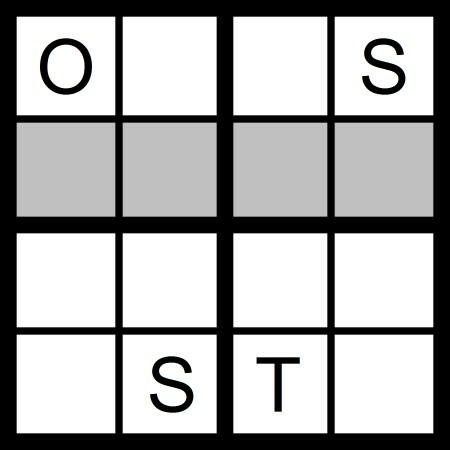 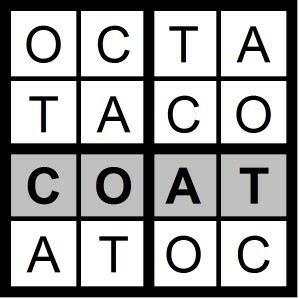 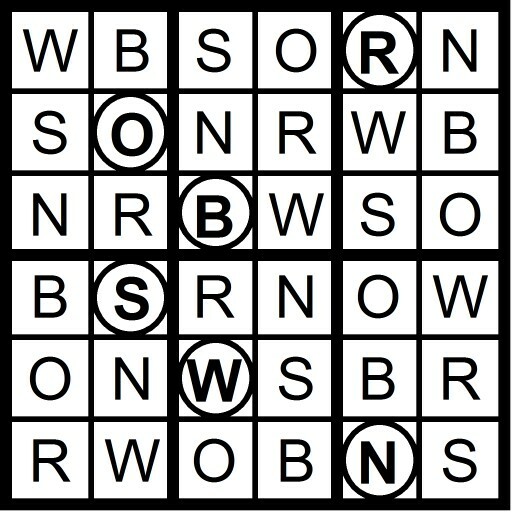 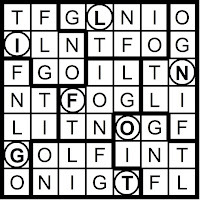 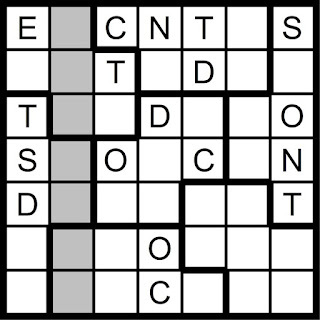 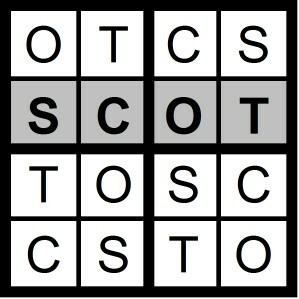 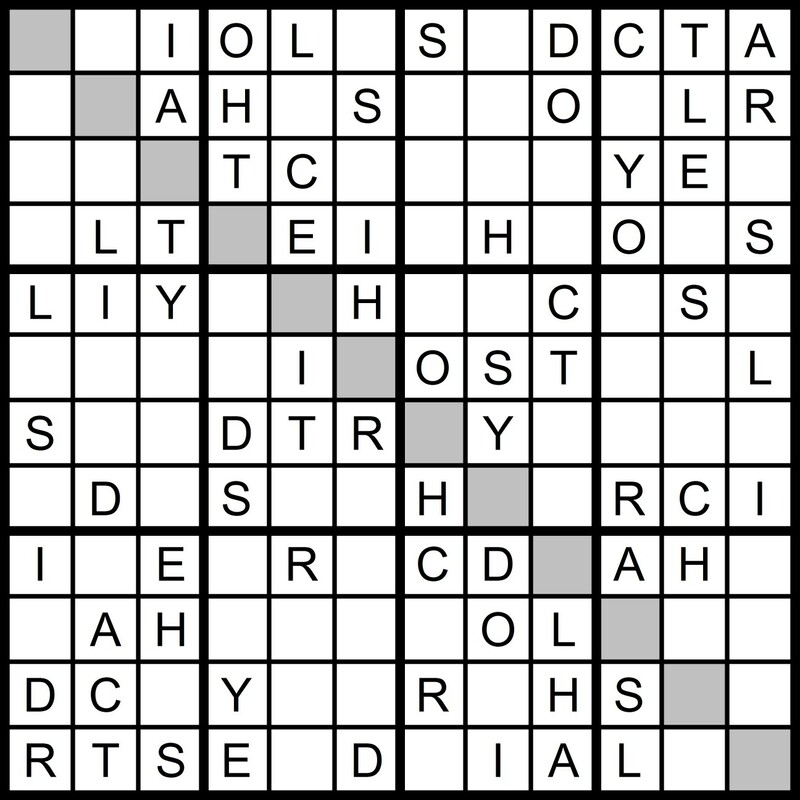 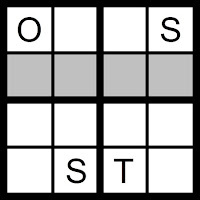 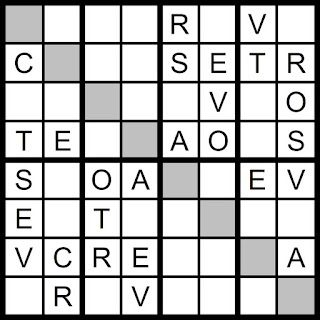 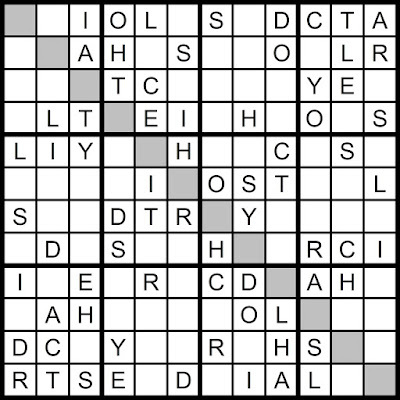 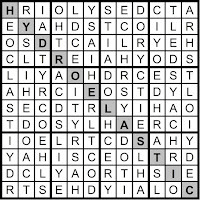 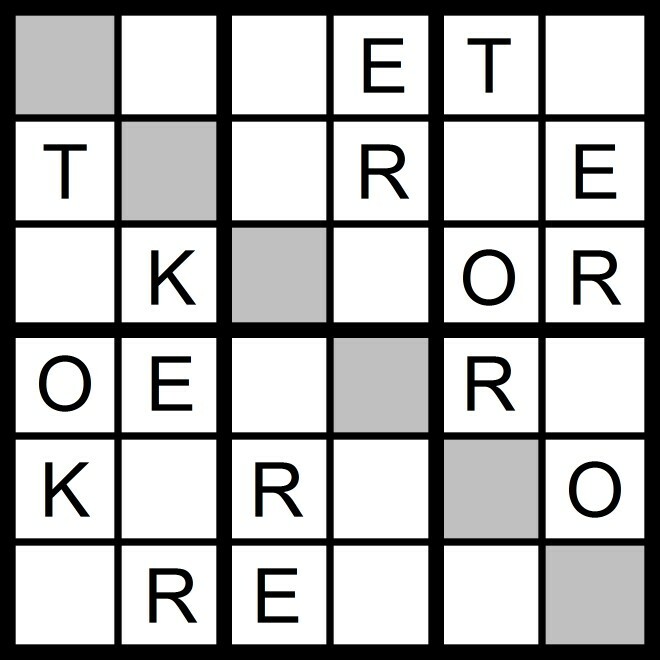 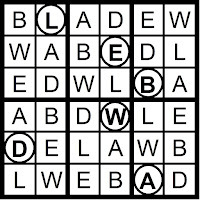 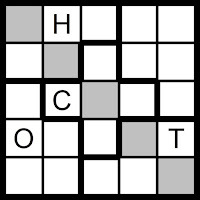 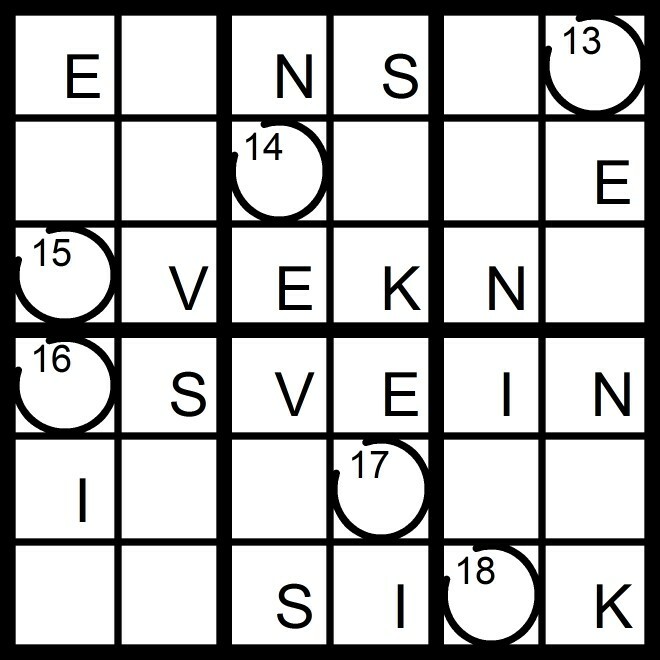 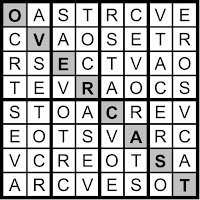 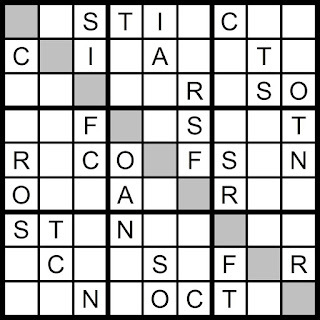 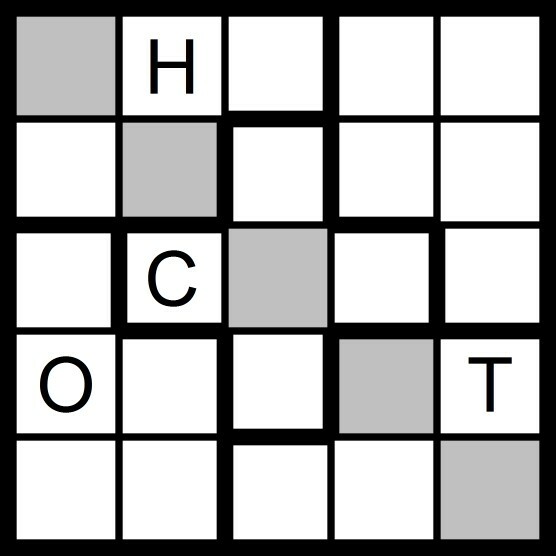 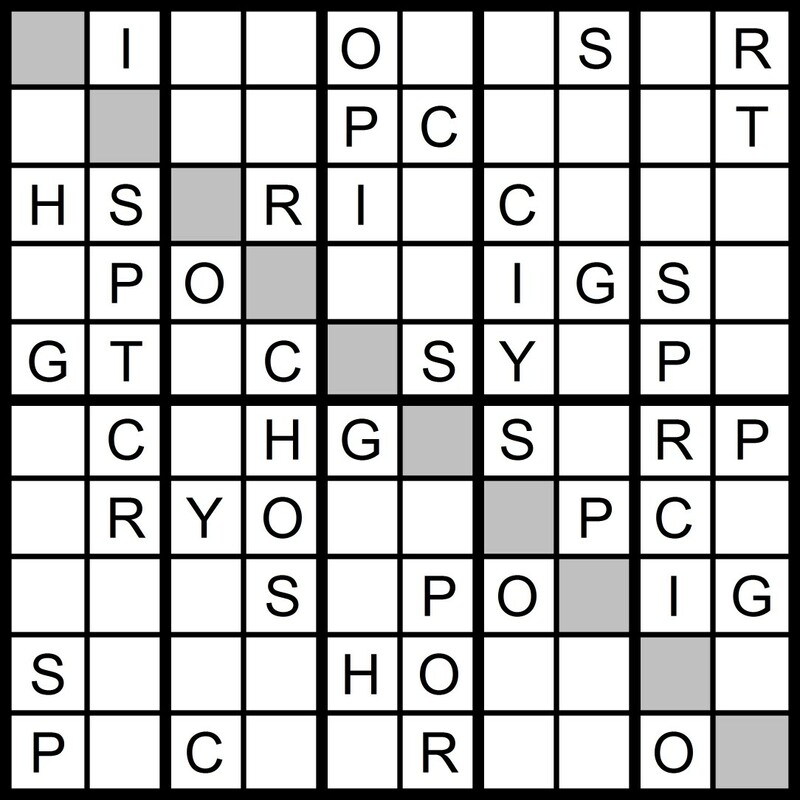 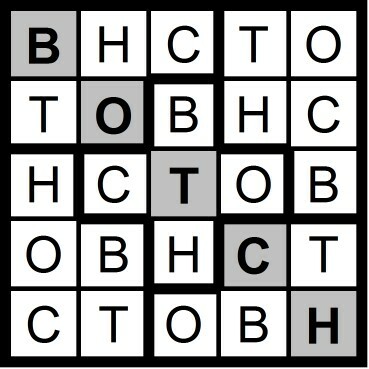 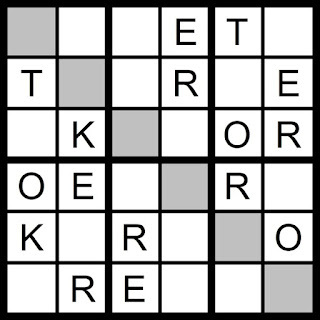 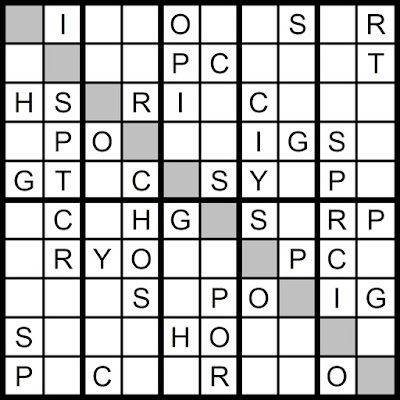 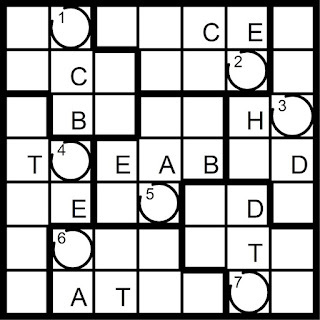 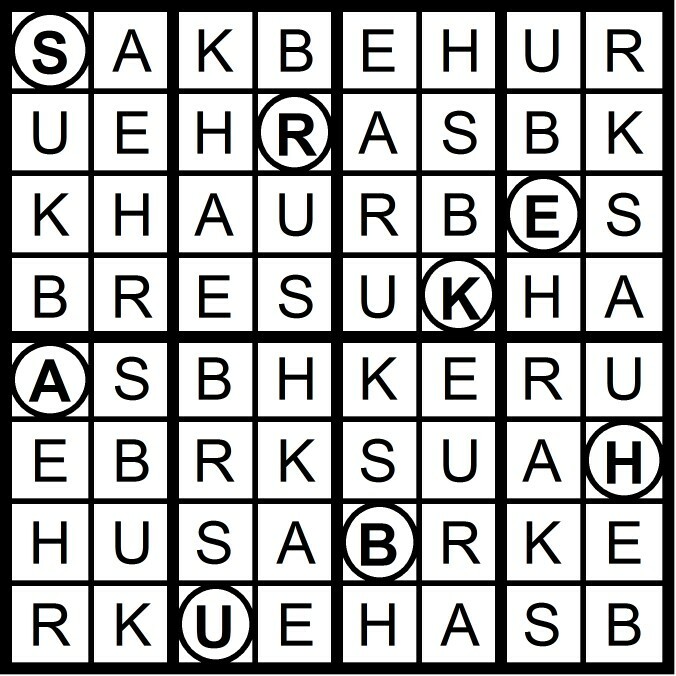 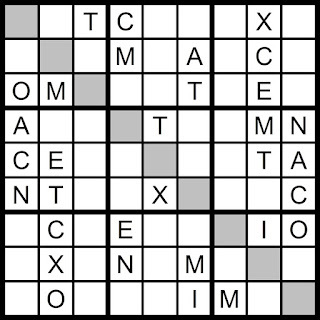 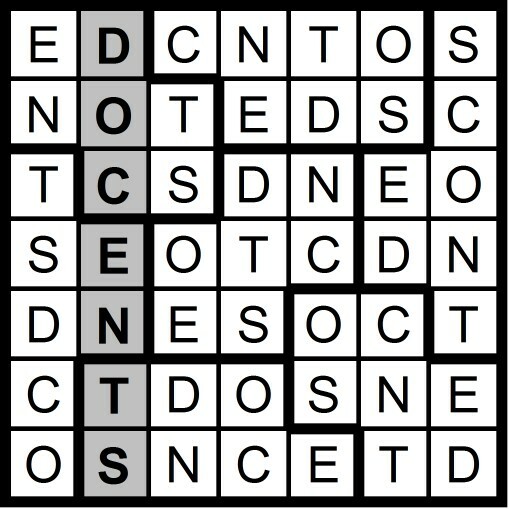 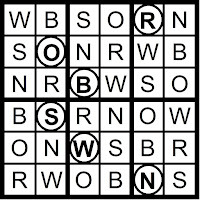 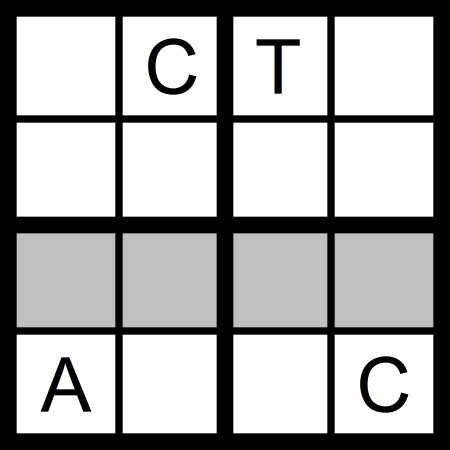 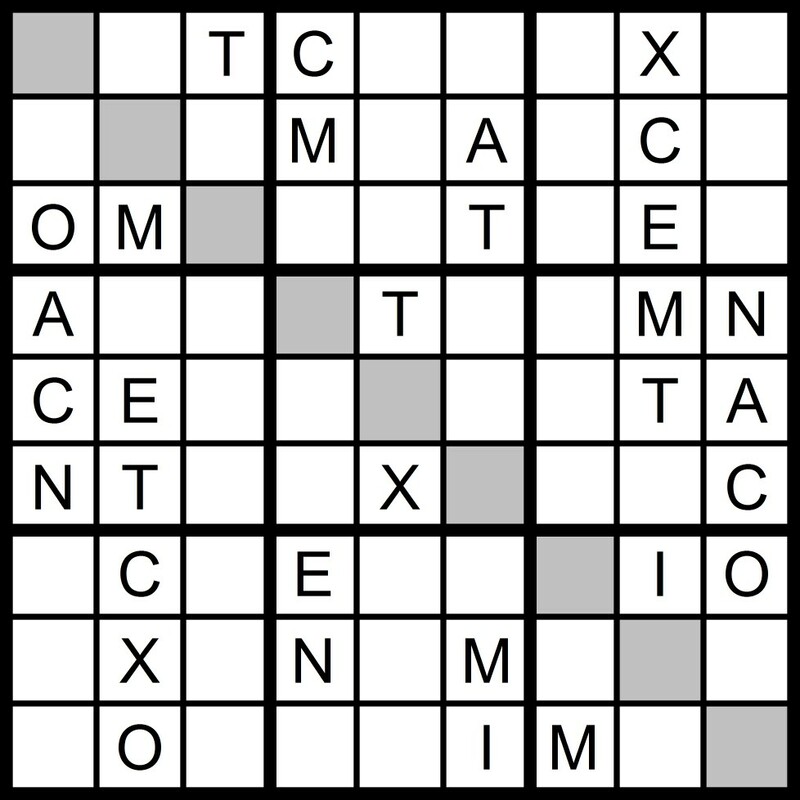 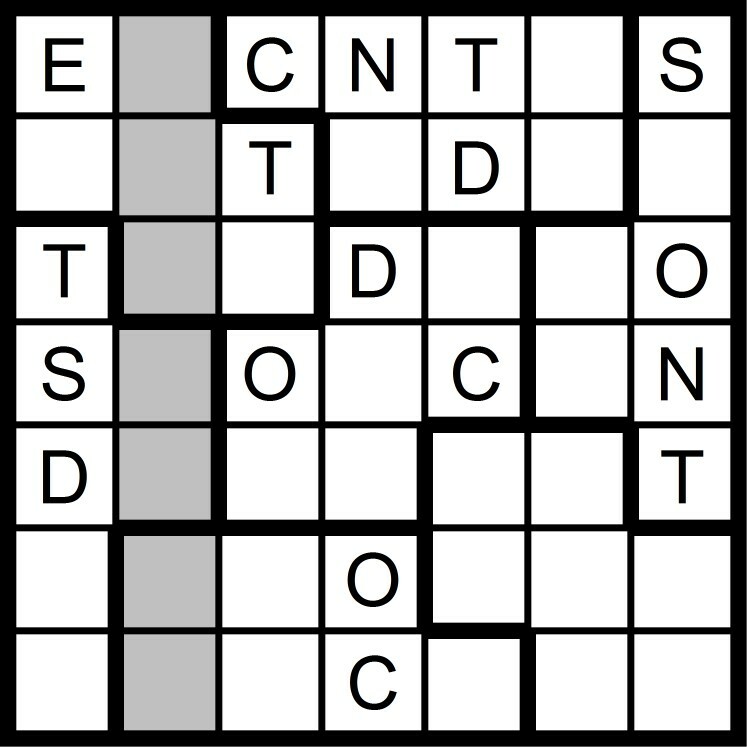 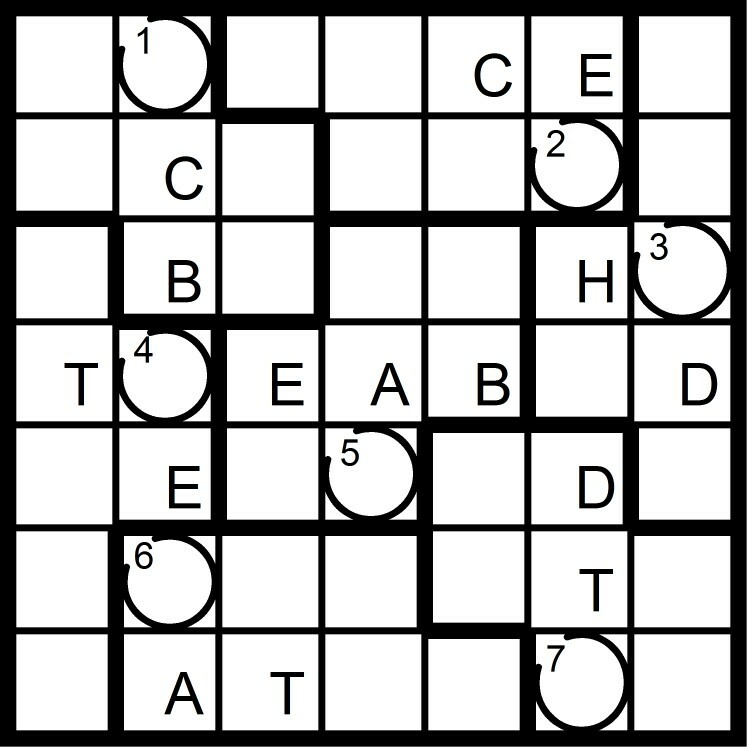 Yesterday's 8x8 Hidden Word Sudoku puzzle was based on the letters OCT + SAVER (OVERCAST). 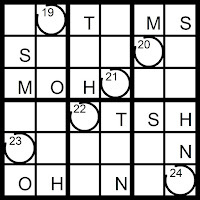 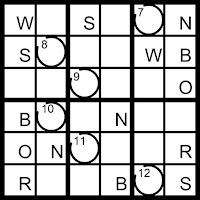 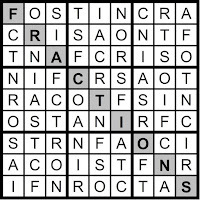 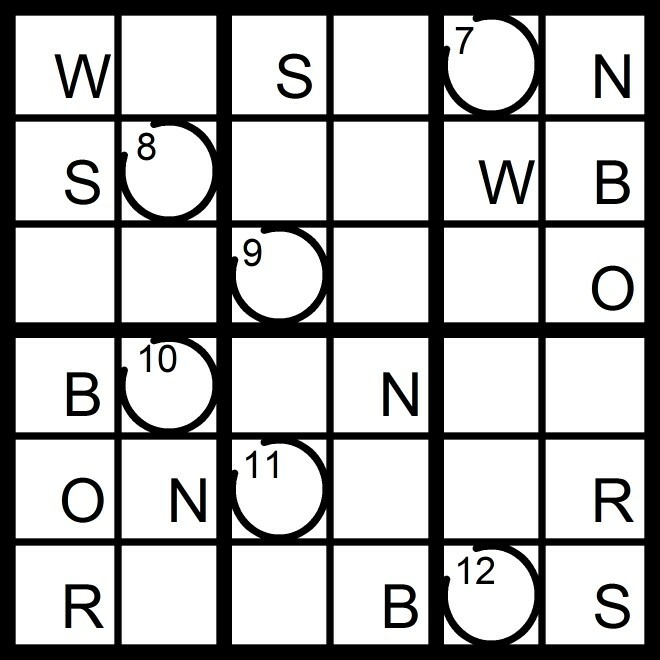 Yesterday's 9x9 Hidden Word Sudoku puzzle was based on the letters OCT + SIR FAN (FRACTIONS). 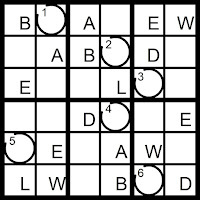 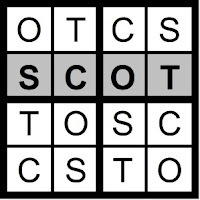 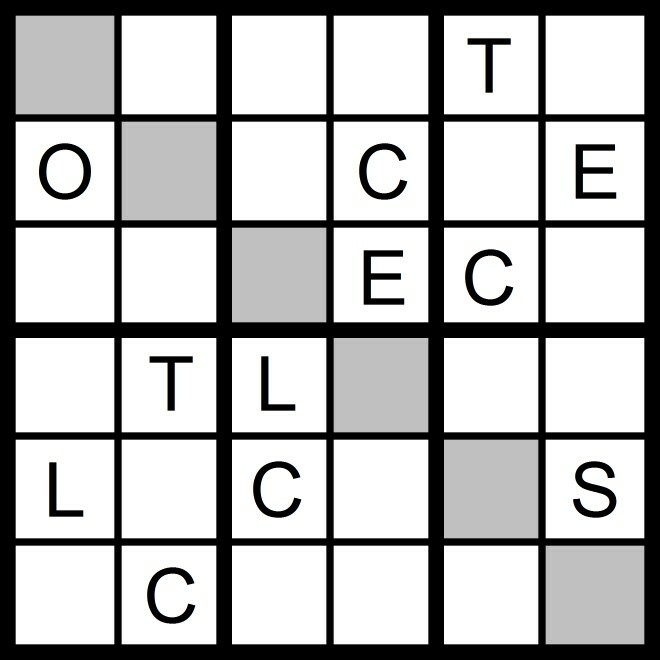 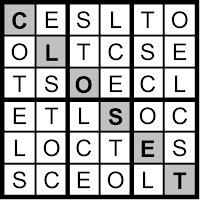 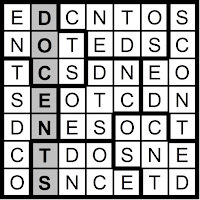 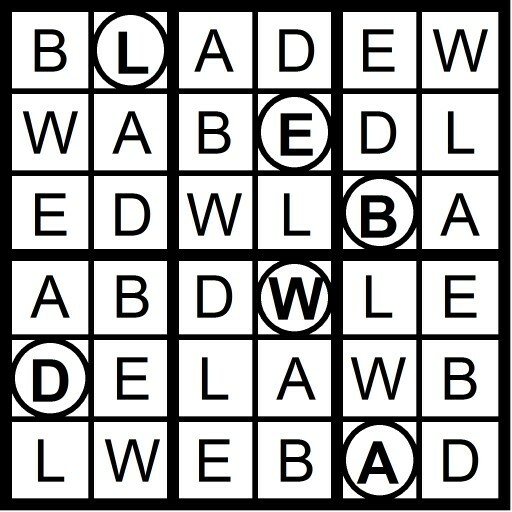 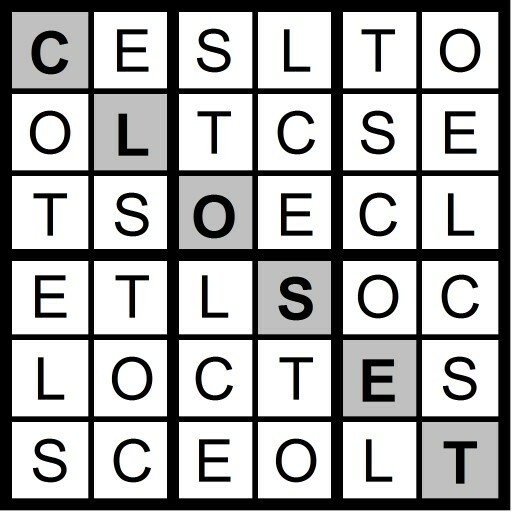 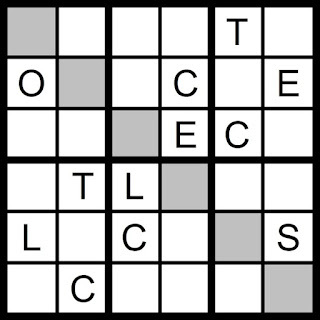 Yesterday's 4x4 Hidden Word Sudoku puzzle was based on the letters OCT + S (SCOT) and the 6x6 Hidden Word Sudoku puzzle was based on the letters OCT + ELS (CLOSET). 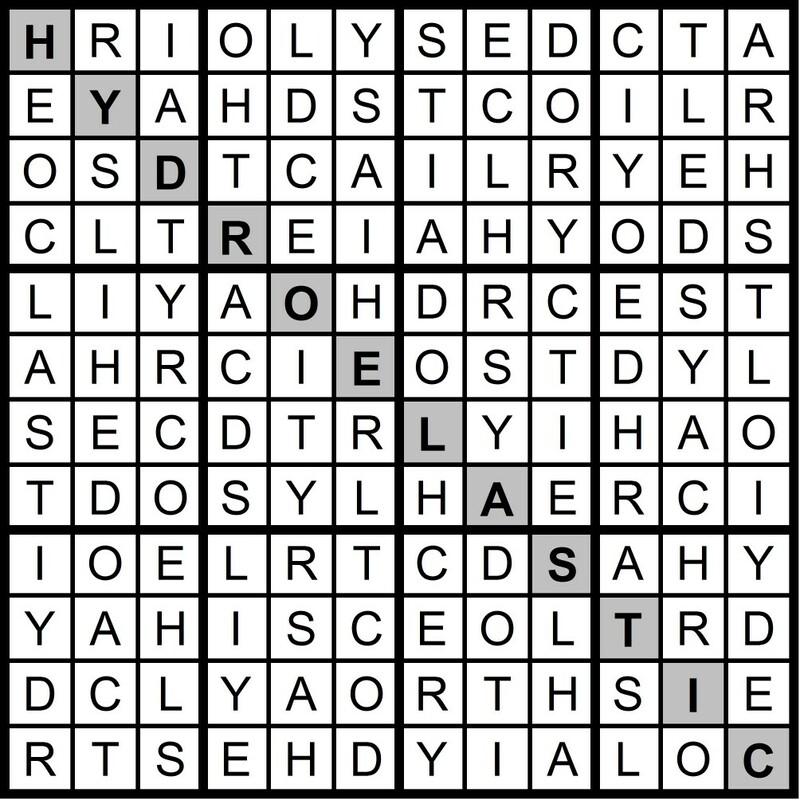 Yesterday’s Sunday Challenge 12x12 Hidden Word Sudoku Puzzle was based on the letters OCT + SHIELD RAY (HYDROELASTIC).